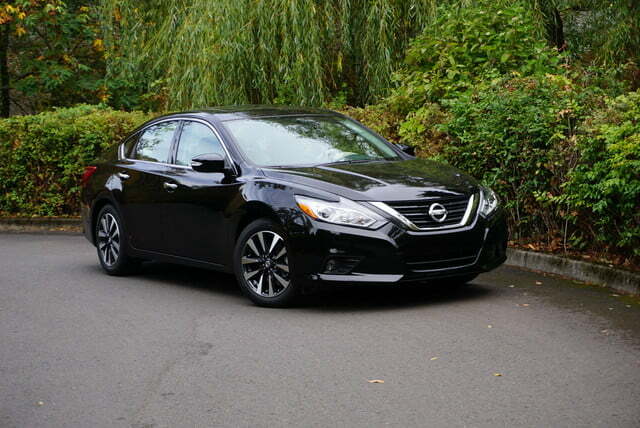 Nissan’s comfortable and economical Altima finds a sweet spot in the crowded mid-size sedan market. When the mid-cycle refresh of the Nissan Altima debuted last year, we wrote a first drive impression of the new car. Now almost a year onwards, it’s time for a closer look with the benefit of direct comparison with the competition. In the world of the mid-size family sedan, the Toyota Camry is still the 800-pound gorilla, selling more units than any other passenger car in America. In the first eight months of 2016, the Camry has sold 269,746 units, an average of 33,718 cars per month; more than 1,000 Camrys every day. The Honda Accord is second, selling 231,415 so far this year. 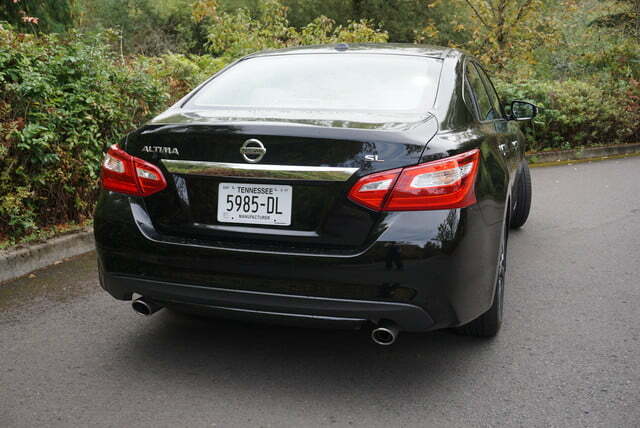 Then comes the Nissan Altima at 217,290 cars so far this year, or 27,161 units per month on average. Those are staggering numbers, and they make the Altima absolutely mission-critical to Nissan’s bottom line. This is a car where Nissan cannot take chances, yet must stand out in terms of features and economy. In the tight competitive market for mid-size cars, value and economy thread through the whole purchase and ownership experience. The competition starts with the purchase price, so let’s talk about the competitors. The 2017 Camry is now starting at $23,935 including fees. That’s the highest base price in the segment. The low price leader is the Hyundai Sonata at $22,135, followed by Chevrolet, Mazda, Kia, and Subaru all in the $22,000 range, while the Honda Accord is priced starting at $23,190. The Altima comes in a little higher at $23,335 including fees. Bear in mind that the Nissan on sale today is still a 2016, and the Honda and Toyota are both 2017 models. Prices could change – but not by much. What you get for your money is comparable across the market segment. Different manufacturers emphasize different qualities, but mid-size sedan buyers evaluate cars based on purchase price, brand reputation, fuel economy, safety, comfort, convenience features, and likely resale value down the road. Because the competition is so fierce, you don’t really find outliers in this market, and the Altima lives right in the sweet spot. 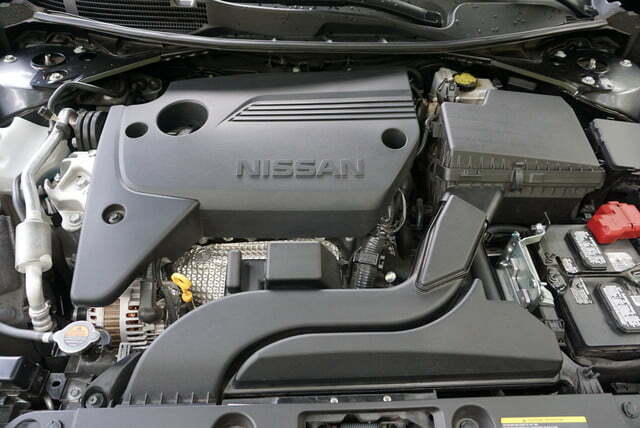 Nissan uses a 2.5-liter four-cylinder engine as the foundation of the Altima. The Nissan engine makes a competitive 182 horsepower and 180 pound-feet of torque in 49 out of 50 states. If you guessed California as the exception, you’re right. If you guessed that the California car makes a little less power, you’re right about that, too. In California, the Altima is rated at 179 horsepower. Equipped with the four-cylinder engine, the Altima returns EPA-estimated fuel economy of 27 mpg city and 39 mpg on the highway. In combined driving, the EPA expects the Altima to deliver 31 mpg. Nissan has done a good job of wringing maximum fuel economy out of the transmission while giving you the driving experience of a conventional automatic. In contrast, the 2017 Camry with a 2.5-liter four-cylinder engine gets just 24 mpg city and 33 Highway. 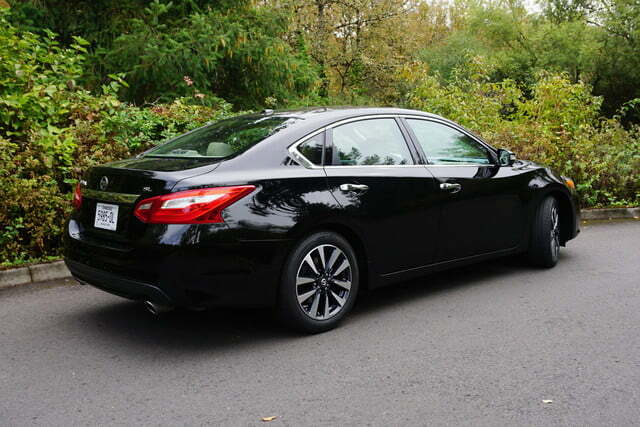 The Accord matches the Altima’s city mpg rating, but falls short at 36 mpg on the highway. Nissan achieved its fuel economy by raising the engine’s compression from 10.1 to 10.3 and by improving the Altima’s aerodynamics through some grille and underbody improvements. The 2016 and newer Altima design yields a 0.26 coefficient of drag, which is about as good as it gets. The Tesla Model S comes in at 0.24, along with a couple of Mercedes models, but among mid-size economy cars, the Nissan is the smoothest. Nissan also offers the Altima with their reliable 3.5-liter V6 rated at 270 horsepower and 251 pound-feet of torque, but that’s not where the fat part of the bell curve spends their money. The V6 Altima will return 22 mpg in the city, 32 mpg on the highway, and combined fuel economy of 26 mpg. That’s pretty good, and if you’re more passionate about your driving experience than you are about saving money on gas, you don’t have to give up much gas money to get the extra engine power. There’s one other ingredient to the fuel economy story, and that’s the Altima’s Continuously Variable Transmission. 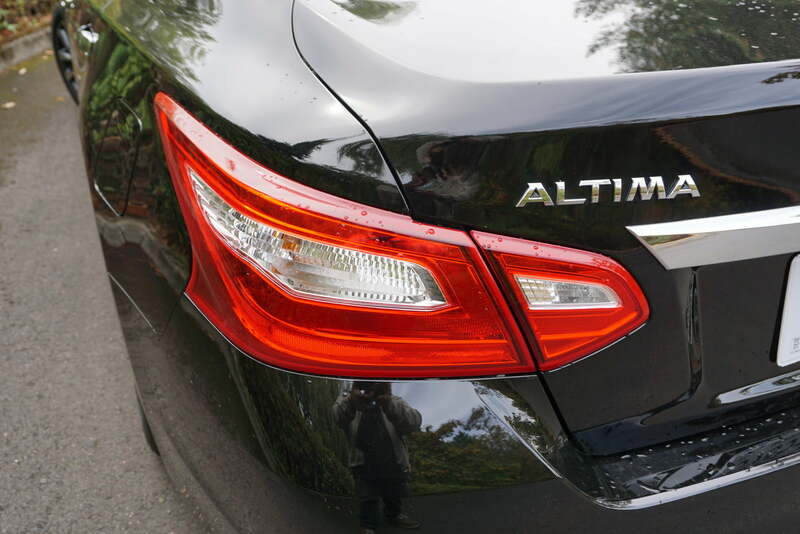 In the First Drive through the Malibu hills, we felt that the CVT was the weakest point on the Altima, but spending a week of regular driving with the Altima softened our prejudice. The four-cylinder engine makes enough torque to drive the CVT very nicely in the kind of real-world use that the Altima was built for. If you want to rocket out of decreasing radius corners in the hills, what are you doing in a mid-size anyway? Nissan makes perfectly good sports cars for that. 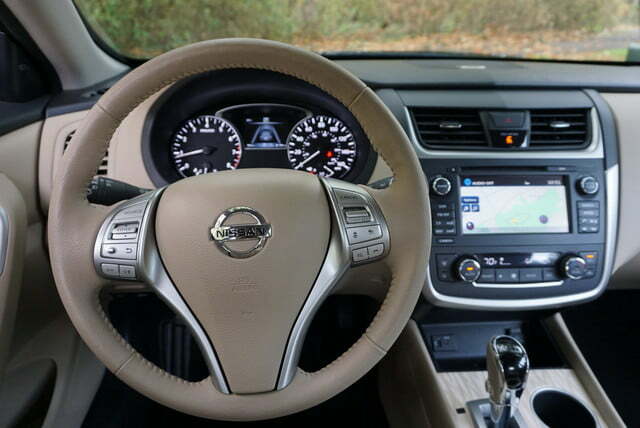 The Altima is offered only with front-wheel-drive, and the CVT is your only transmission option. If you want a manual, there’s the Accord or the Mazda6. But if you’re shopping for an automatic like the vast majority of mid-size buyers, don’t discount the Altima for its CVT. Nissan has done a good job of wringing maximum fuel economy out of the transmission while giving you the driving experience of a conventional automatic. In fact, the CVT may be better-suited to translating the engine’s torque into acceleration than the traditional automatic, because the CVT can be tuned very precisely to make the best use of the Altima’s power band. 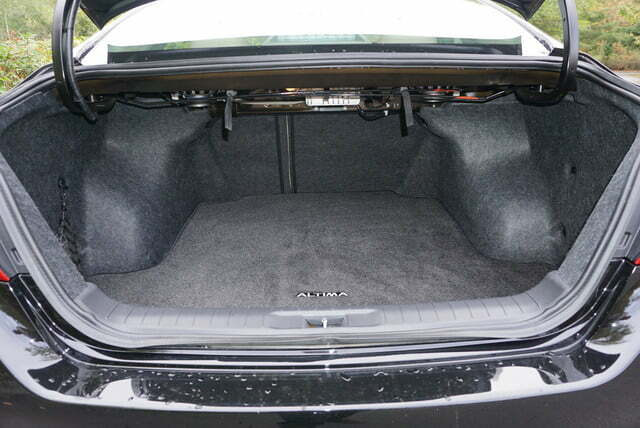 Big volume mid-size sedans compete very hard on features. One year into owning any car and the original purchase price is quickly becoming a distant memory, but you’ll certainly be aware of every feature your car does and does not have. So, in general it’s better to plan on paying for the features you want, because time will be kind to that decision. 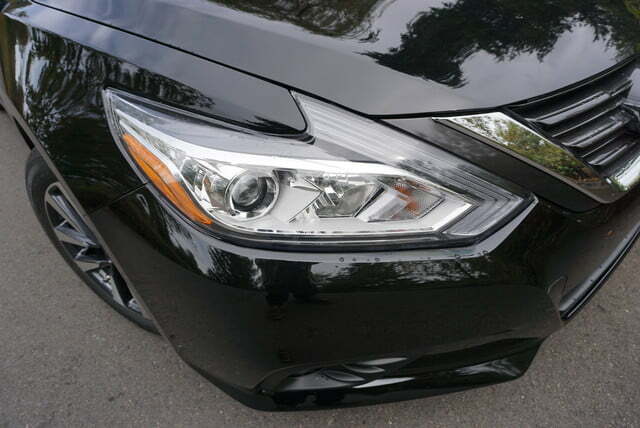 The Altima has a good price walk when it comes to getting the features that are on your mind. 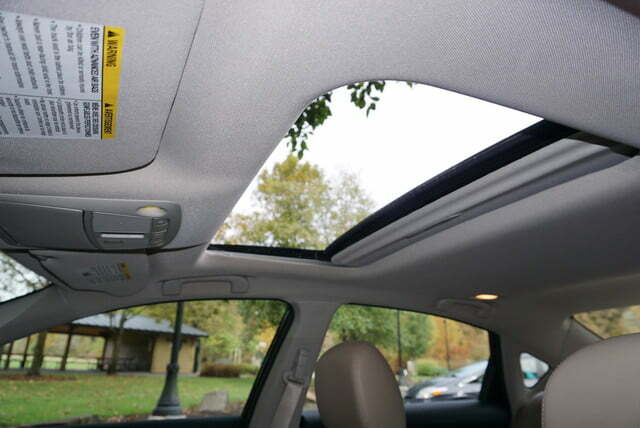 You can choose from seven different trim levels with smallish to medium price bumps to drill down to the features you want. If you opt for the top-of-the-line SL trim, you’ll get a very nicely equipped car with pretty much every advanced feature on the market. The basic Altima 2.5 and Altima 2.5 S trims don’t offer much beyond the basic car. Call these the Uber Driver models, but for the minimal $400 price bump to $23,735, you should get the S trim no matter how limited your budget may be. 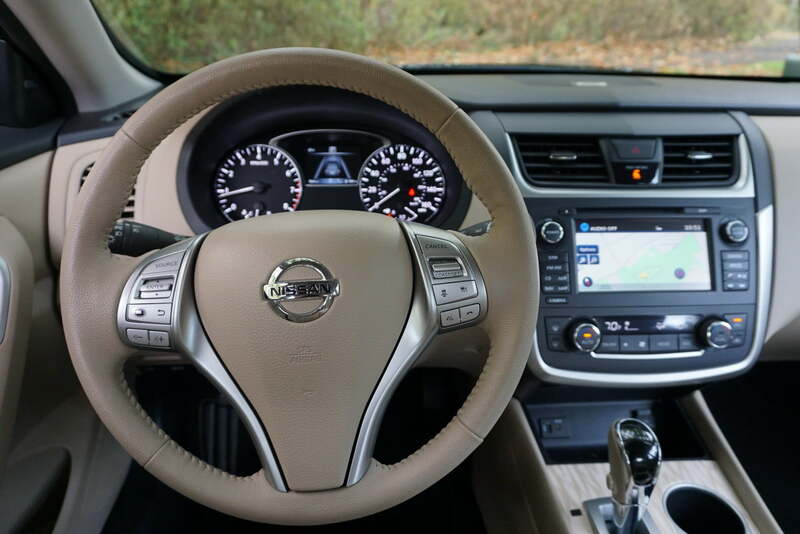 You’ll get the 5-inch color touch screen display with NissanConnect smart phone integration, smart automatic headlights, cruise control, as well as the basics like tire pressure monitoring and Bluetooth hands-free phone calling from the base model. Above the bargain basement models, prices start rising. 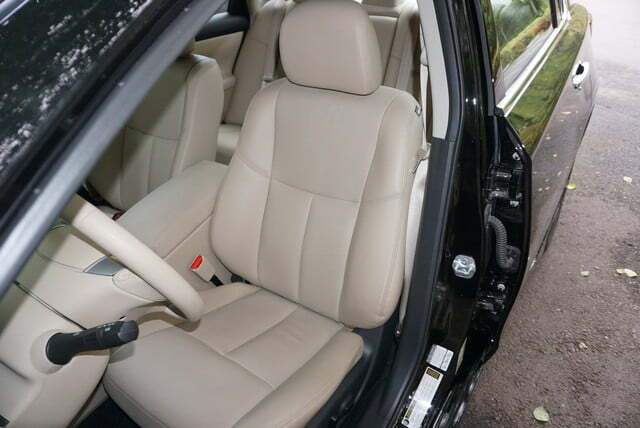 At $25,305 you’re into the SR sports trim, with 18-inch wheels, paddle shifters and leather on the steering wheel, plus a power driver’s seat with lumber support. Nissan shows its heritage as a racing brand by giving the Altima SR an upgraded suspension with special springs and shocks. You also get a 50 percent stiffer front anti-sway bar and a 250 percent stiffer rear bar, and a nifty trunk-mounted spoiler too. The SV trim comes in at $26,295, and this trim is aimed at families. The SV trim drops back to 17-inch wheels, but you get remote engine start to pre-warm the car on winter mornings, blind spot monitoring, rear cross-traffic alert, forward collision warning, and the 8-way power driver’s seat. The top SL trim at $29,405 gets you all the SV features plus leather seats, auto-dimming mirror, power passenger seat, and a nice Bose stereo with 9 speakers. Then you’ve got the Altima with the 3.5-liter V6 in your choice of sporty SR trim at $28,825, or luxury SL trim at $33,525. The top SL V6 trim includes navigation, but that’s an extra option on the 2.5 SL. If your heart says 370Z but your spouse and your kids and your wallet all say sedan, then get yourself the Altima 3.5 SR. You’ll have lots of power to play with, a nice suspension, and you’ll still keep the family happy with enough seats and a price tag under $30,000. Everybody wins. 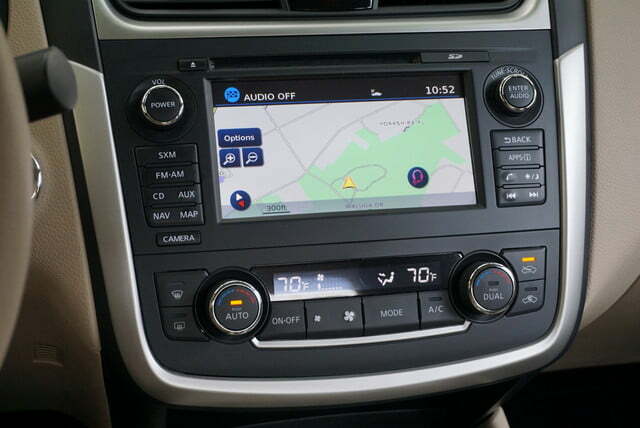 One feature note: The Altima is still waiting to get Apple CarPlay or Android Auto. Nissan is committed to offering those services on the 2017 Maxima, but has not yet said when the Altima will follow. 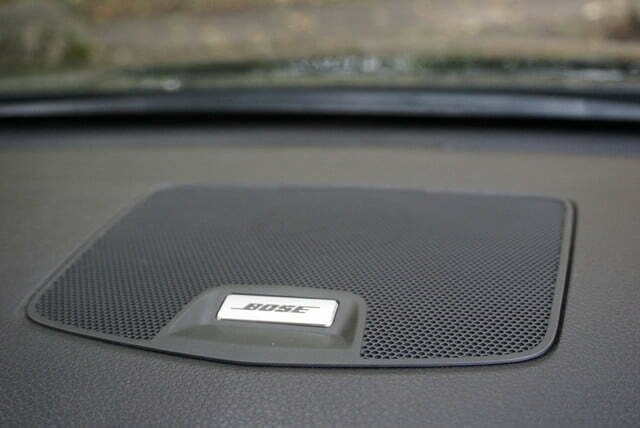 Another competitive area in mid-size sedans is cabin noise. A quiet ride is a primary indicator of luxury. If you don’t believe that, wangle yourself a ride in a Rolls Royce sometime. For commuters, a quiet ride means arriving home feeling a little better, and that’s an important value. So Nissan’s engineers put a lot of effort into reducing cabin noise in the Altima. 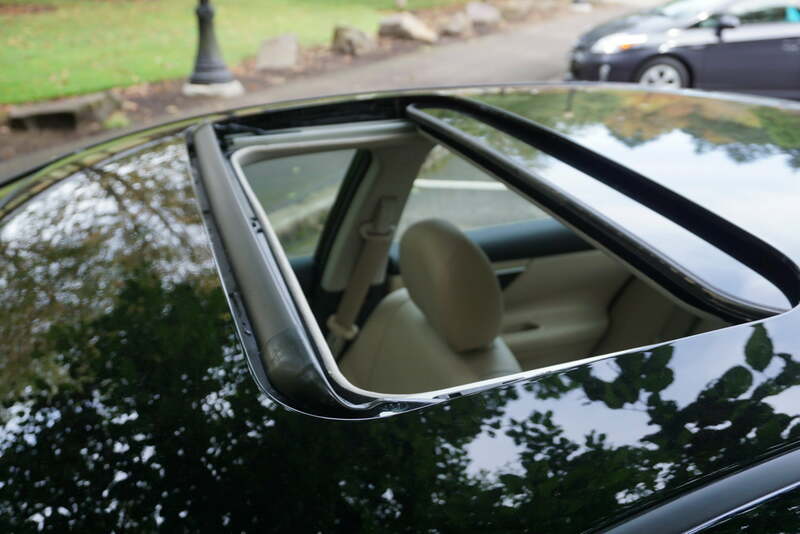 The key feature that mid-size cars have adopted across the board is a new design sound-reducing windshield. Then Nissan backed that up with a bunch of insulation under the dash and a few other invisible features that all help to reduce noise. Pair that with the Bose sound system in the SL versions, and you’ve got a seriously comfortable sanctum sanctorum for your commute hours. 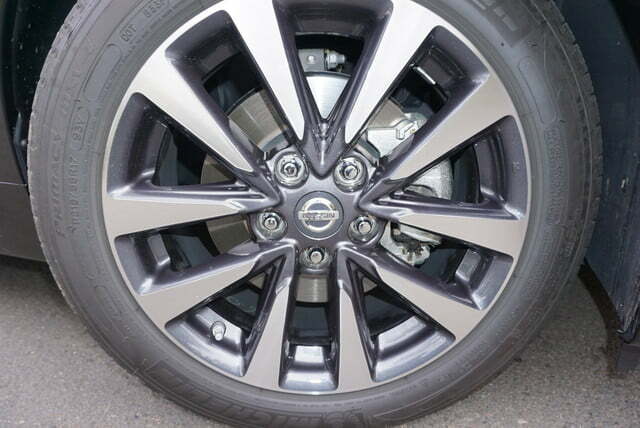 The Altima sits toward the sporty end of the mid-size category. It’s not the Mazda6, which is arguably the sportiest, but you can definitely tell that Nissan has a strong history with performance cars, especially in the SR models. If you spring for the sport suspension in the SR, you’ll get a sedan that corners flat and communicates the road very nicely. 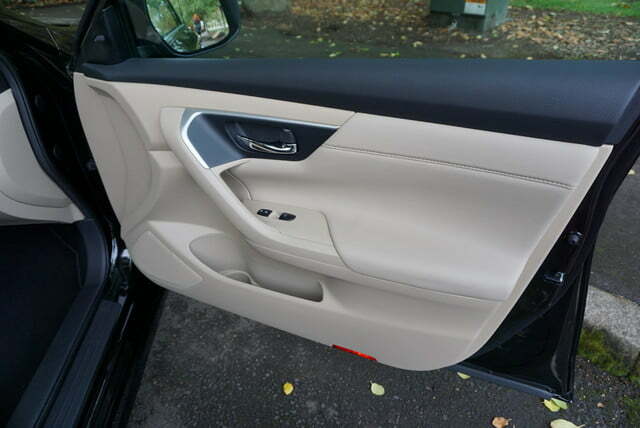 The SL trim is more luxurious and insulating, but you still get a car that’s nice to drive and adjustable enough to be truly comfortable. 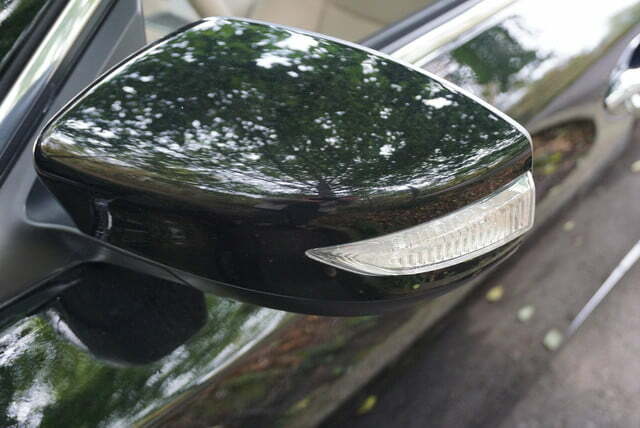 The Altima SL still corners well, though with a shade less confidence. 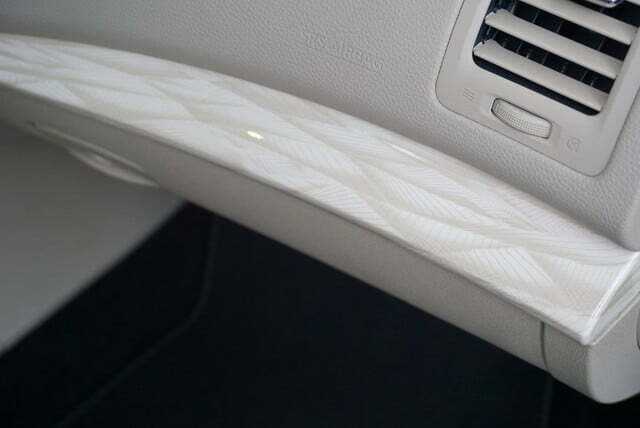 In any trim, you’ll get very effective brakes and all the basics of a modern family car like stability and traction controls, antilock brakes, LATCH for car seats, and so on. The Altima is likely to remain a top-seller. This car does what it promises to do – get you and your family where you need to go in an economical and reasonably comfortable way. 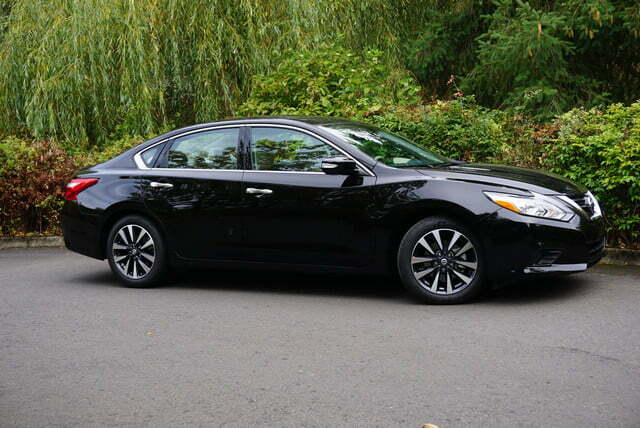 The Altima is an IIHS Top Safety Pick+ when it is equipped with the optional forward emergency braking, and you get a three year, 36,000 mile warranty, with five years or 60,000 for the engine and powertrain. On top of that, the Altima has sportier options if that’s what your heart needs to be happy. 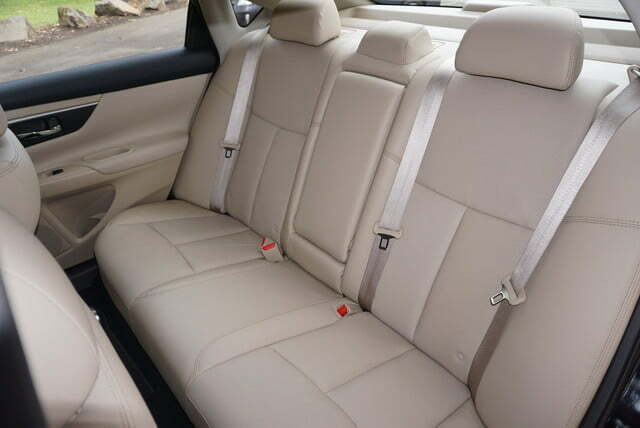 If you’re shopping the mid-size sedan market with all its big sellers, the best thing you can possibly do is to be sure to drive all the options. Forget the ratings and the charts, and go drive the cars. They’re all within the same price range, give or take a few hundred bucks. You might spend an extra day hitting all the brands, but you’re sure to find some you don’t like, some you do like, and maybe even one you love. That’s the review that really counts.